Our 2014 Cabernet is a blend of 85% Cabernet Sauvignon and 15% Merlot. A great growing season allowed for optimal ripeness. It exhibits big, assertive tannins on the palate and begs for more time in the bottle. This is one to lay down. Ripe red fruits of plums and cassis mingle with licorice and a hint of eucalyptus. Aged for 12 months in French oak, a little pepper spice blends well with a touch of smoke. Our Merlot is a traditional French-styled Merlot which celebrates Merlot’s ability to be firm and structured yet smooth and less harsh in its tannin structure. Smokey notes laden with raspberry aromas on the nose, the wine shows supple tannins and bright fruit on the palate. 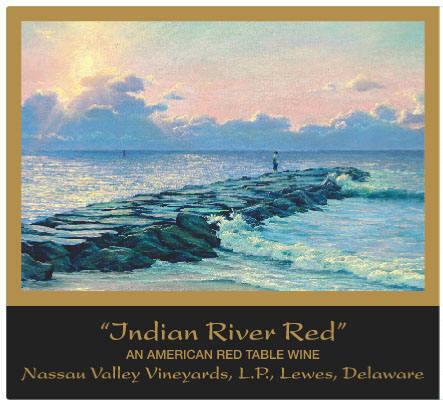 Indian River Red is the winemaker’s select blend of 60% Merlot, 31% Cabernet Franc, & 9% Cabernet Sauvignon, aged in 100% new French oak for 13 months. Earthy aromas with smoke, leather, and ripe black cherries are predominant on the nose. Warm peppery flavors tinged with prune make the palate fruit forward with mid-palate tannins structuring the wine into a long, cassis laden finish. It is called “Delaware” because that is actually the name of the grape. This sweet white is subtle with its nose lightly perfumed of honeysuckle. It starts with a delicate sweetness on the palate and finishes with that classic Delaware grape trait of bright green apple. Laurel’s Red is our user friendly red. 100% Chambourcin, the wine is produced entirely in stainless steel, and offers big fruit up front. It is the perfect pasta, pizza, and burgers red. It also makes a great Sangria! Our lighthearted, slightly sweet Meadow’s Edge is a blend of Seyval Blanc and Vidal Blanc. A honey sweetness up front dissipates on your palate to a nice clean finish. Great with rich, pungent cheeses. Our Peach Ambrosia is 100% fermented peach juice. No grape juice, no flavor additives, just the real deal. The nose is heady with the aroma of ripe peaches. Lush peach flavors with just the right amount of sweetness for a perfect dessert wine. Think peach cobbler or pumpkin pie! 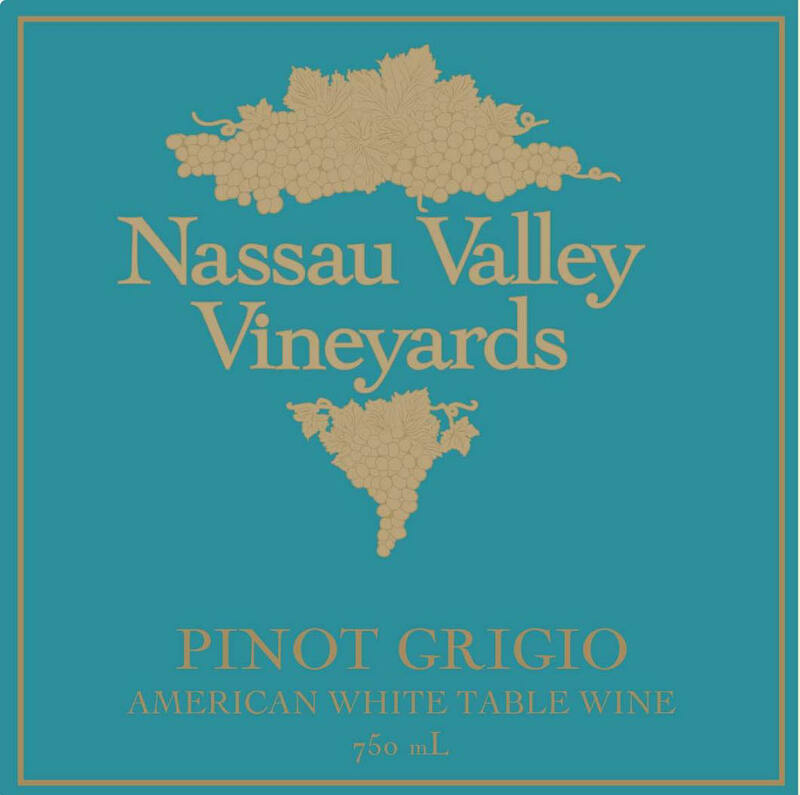 Our Pinot Grigio is crisp and clean. Tropical fruits on the nose, green apple on the front palette with delightful grapefruit hints on the finish. A perfect summer wine! True Blue is produced from 100% blueberries. The berries are fermented on their skins just like we make any of our red wines. No grape juice, no flavor additives. Amazing with chocolate and cheesecake! Our Cape Rosé is a traditional, French-styled Rosé, strawberry and watermelon aromas on the nose, the wine is light and fruity up front with a crisp, dry finish. Not to be confused with a blush wine, a true Rosé is a perfect match with seafood — especially shellfish! Our 2017 Chardonnay was aged 9 months on French oak; lovely lemon and warm butterscotch aromas abound on the nose. Light lemon and pear mingle with vanilla and spice. Our House Red is a blend of 70% Merlot, 16% Cabernet Franc, and 14% Cabernet Sauvignon. Berry fruits with an edge of toast on the nose give way to cranberry and raspberry on the palate. Aged 10 months in American oak. Our “Naked” Chardonnay is a clean and beautiful celebration of pure Chardonnay fruit. Floral notes on the nose give way to delicate melon and pear flavors. Delightful alone or with food! Redneck Rouge is an irreverent sweet and spicy red wine. Great with Possum, Muskrat, Squirrel and Road Kill. But seriously, if you like a sweeter red with a kick of spice, this just might be your wine. Sometimes Nassau Valley bottles small batch wines as unique lots of fruit become available to us. These wines are available only in our tasting room. In regard to wines listed here on the site, availability and pricing may be subject to changes. The website serves to give an overview of our product line. Stop by and see what we’re up to. Prices subject to change. This list reflects our general product line. Sometimes particular wines may be out of stock as we are between bottling. Please check with the winery if you are looking for a specific NVV wine. Remember the label from that wine you like, but can’t remember the name? See our wine labels list, so you can finally order that wine you can’t stop thinking about.